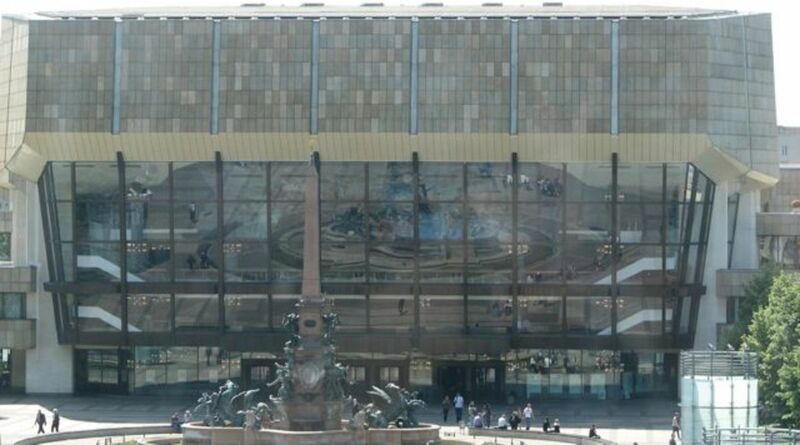 This article follows 36 things to see during the Messe in Hannover Germany - Part 1. This is the second part of four of a complete explanation about “Der Rote Faden”. So, if you haven't read the Part 1 yet, I highly recommend you to read it first. The Red Thread continues from The New Town Hall, one of my favourite places of the city. It runs through a total of 36 touristic points, including historic buildings, museums, street arts and, of course, shopping. I will also give you some tips of nice places along the way that are not included in the official tour. 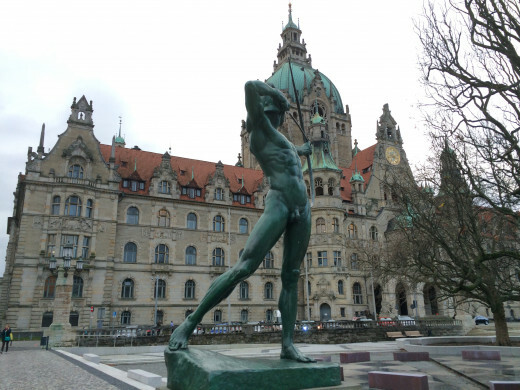 The Archer (Bogenschütze) is a bronze statue, replica of an Italian statue standing in Munich, located at the Trammplatz, in front of The New Town Hall. 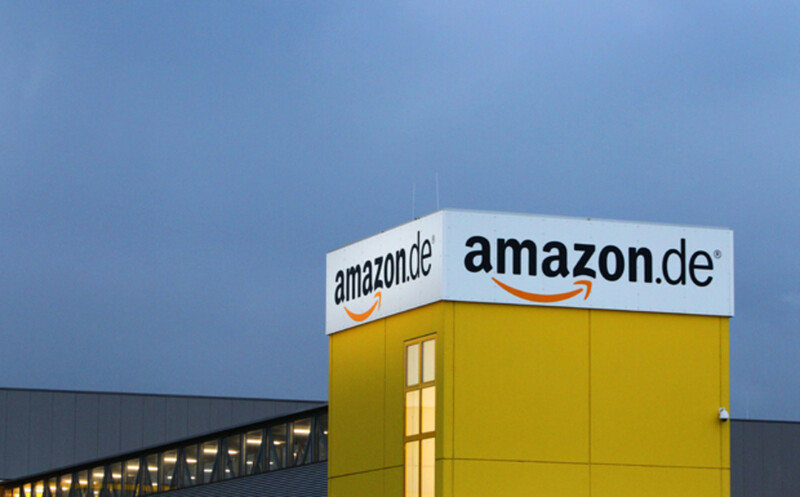 The Archer's arrow is pointing exactly to the office of the Lord Mayor of Hannover. The Trammplatz was designed to be an event area, like an annual Jazz Festival and, besides the Archer, has a central fountain (Klaus-Bahlsen-Brunnen), created by Ludger Gerdes. 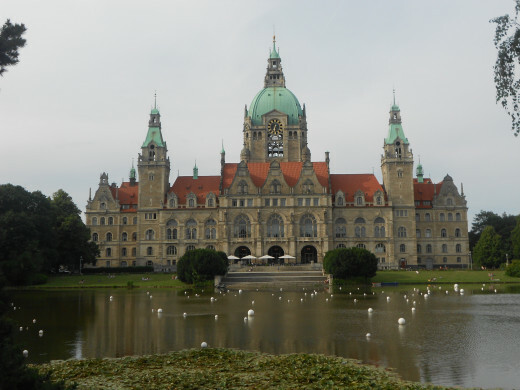 A symbol of the city of Hannover, which you can see in almost every postcard, The New Town Hall (Neues Rathaus) is one of the most famous landmarks. 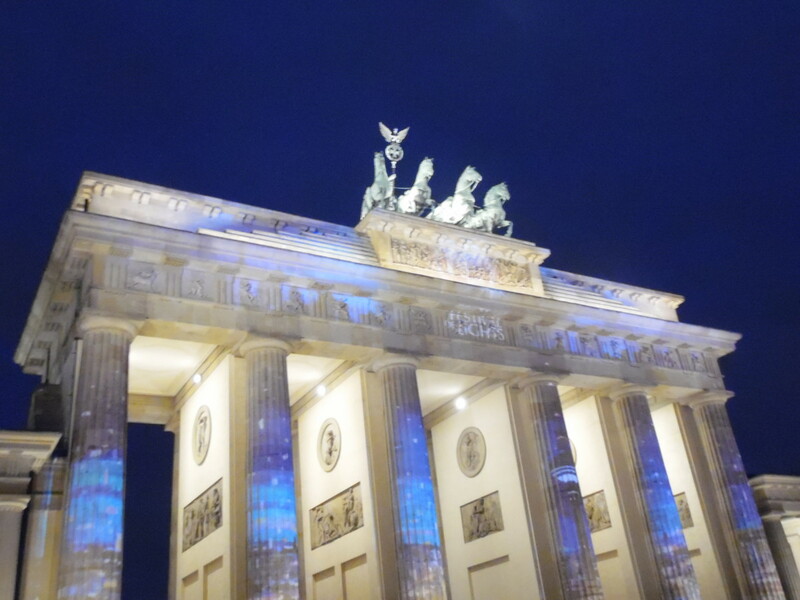 Its construction took 12 years and it was opened in 1913, during the command of Wilhelm II, the last German Emperor and King of Prussia, ruling the German Empire and the Kingdom of Prussia from 15 June 1888 to 9 November 1918. Hannover today (Heute): the city completely rebuilt, as we see nowadays. 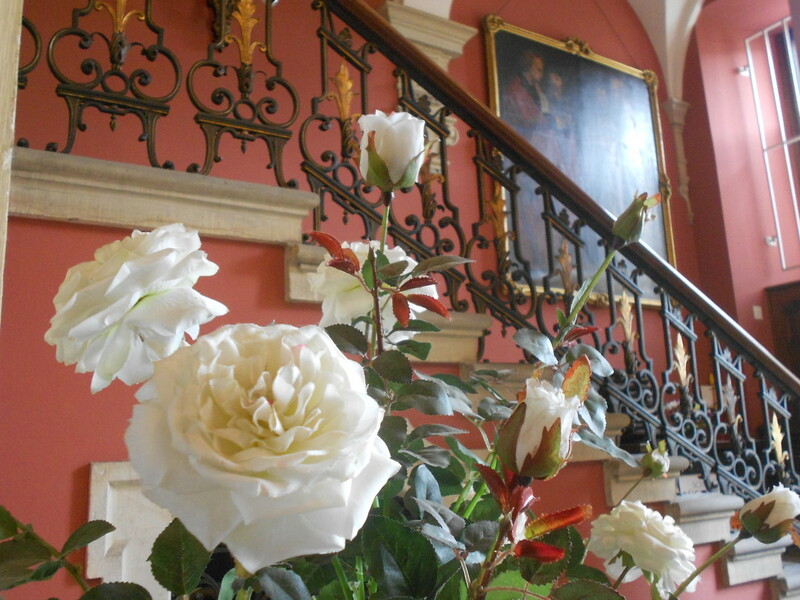 You can explore the main hall by yourself for free or take an 1 hour guided tour that starts at 11.00am in specifics dates. The Ladies Hall with its noble decoration. Then, take a diagonal lift to the dome. At a 15-degree angle, the lift, unique in Europe, runs 43 metres up to a gallery on the top of the dome, from where you can enjoy a nice view of the whole city, including the Harz Mountains when the visibility permits. Afterwards, take a time to explore outside the building as well as the park on its back, the Maschpark. This 10-hectare area is a nice place for a picnic, sport or just relaxation during the summer. On the back of The New Town Hall, there is also the Restaurant Der Gartensaal, ideal for corporate events. TIP: Besides the Maschpark, on the street "Willy-Brandt-Allee", you can also visit the Lower Saxony State Museum ("Niedersächsisches Landesmuseum Hannover"), featuring paintings and sculptures from the Middle Ages to the 20th century, archaeology, natural history and ethnology. Featuring more than five thousand years of cultural history, The Museum August Kestner is located beside The New Town Hall. Its facade is a concrete box with 5000 windows. 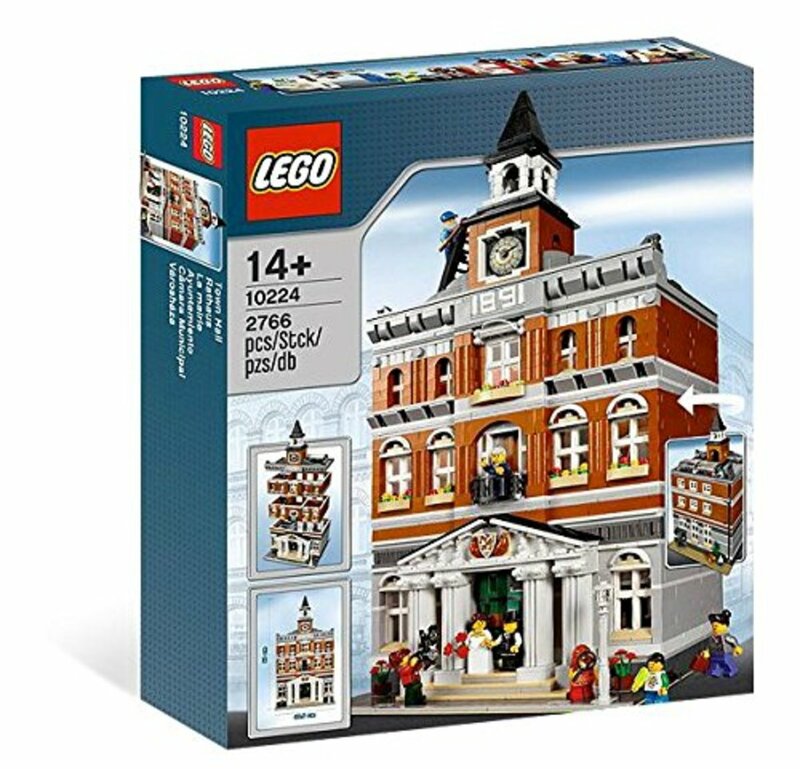 Inside of the box, you find the original neo-classical facade preserved. 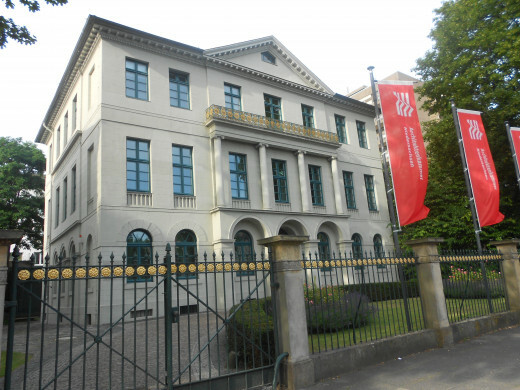 Make sure you won't miss it, because The Portico is almost hidden behind The Museum August Kestner. Built in 1736, The Portico used to be the gateway to the mule stables on Königsworther Platz. 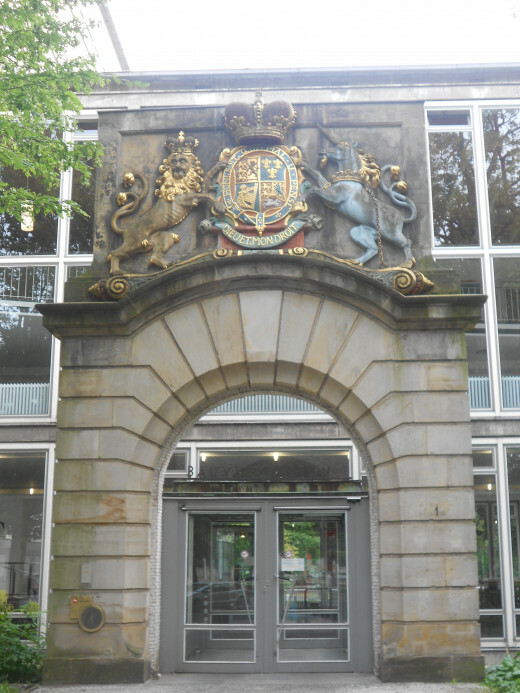 Displaying the coat of arms, it survived World War II and, in 1955, it was re-erected at the entrance of the current Public Works Department. The quote on the coat of arm means: "Evil to him who evil thinks". Built for himself by the German architect Georg Ludwig Friedrich Laves, this classical building survived the World War II undamaged. Now, it is the Chamber of Architects of Lower Saxony. The Waterloo Square and Waterloo Column. 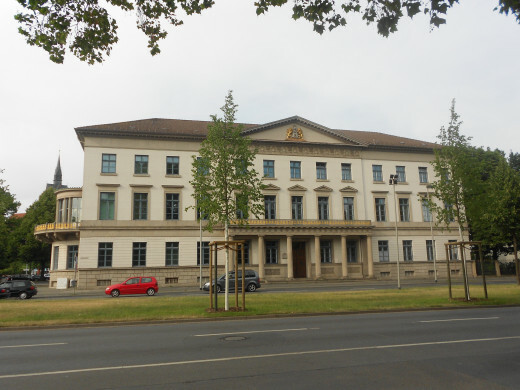 Residence of the King Georg V for ten years, then The Town Hall, The Wangenheim Palace is now the seat of the Ministry of Economics, Technology and Transport of Lower Saxony. Inside the entrance hall, on the end wall, there is an impressive concrete grid glazed in pastel colours, designed by the Hannover painter Egon Neubauer. It was built in 1832. 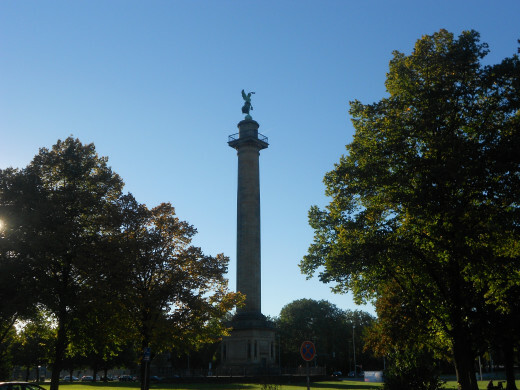 Victoria, the goddess of victory from the Roman mythology, is the main attraction at the Waterlooplatz, in commemoration to the victorious Battle of Waterloo. The Waterloo Column stands in a square with approximately four-hectare and it is 46.31 meters long. Its style is modeled on ancient classical architecture and is based on the Doric order, one of the three orders of ancient Greece. TIP: In summer time, visit the Waterloo-Biergarten, at Waterloostraße 1, 30169 Hannover. 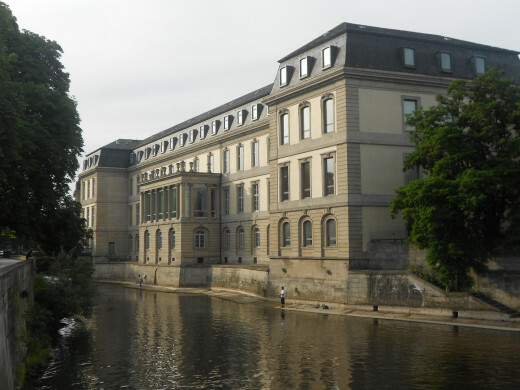 At Leine Palace (Leineschloss), the seat of the State Parliament of Lower Saxony, was once a Neo-Gothic style river waterworks, demolished in 1963. 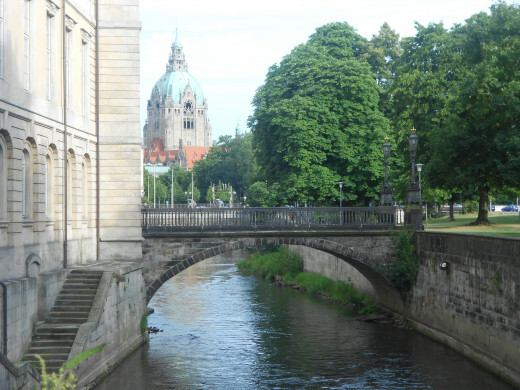 The main entrance of the Leine Palace is at Hannah-Arendt-Platz 1 and the facade along the river is the back of the building. TIP: Exploring around the Palace, you will find a bronze memorial to the "Göttingen Seven", by the Italian sculptor Floriano Bodini, representing the protest of professors from the city of Göttingen against the annulment of the constitution of the Kingdom of Hannover in 1837. Built in 1686, the bridge was designed by the Italian architect Hieronimo Sartorio. It used to be a direct access to The Leine Palace. 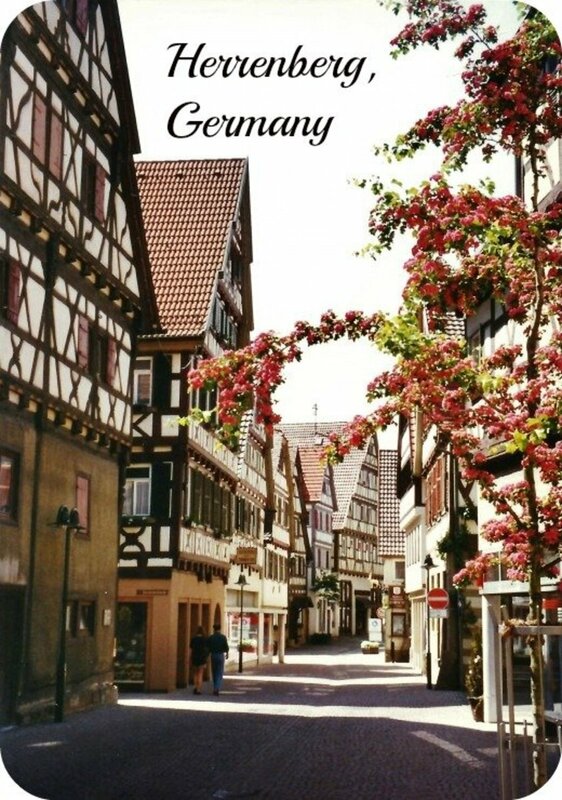 One reader mentioned that Germans consider Hannover the ugliest city in Germany. Do you agree? Let me know what you think about this article or if you want to know more about any of the places I've mentioned, by leaving a comment below. If you know someone else that might like it, don't hesitate to share. And make sure you follow me on HubPages to be the first to know when I publish the Part 3 and 4 and more articles like this. couldn't wait to read the next part and would like to add a few more details which might be interesting. Maybe the Leineschloss once was used as a Waterworks during the war or after WWII, but it actually was built already back in 1300 or so as an Abbey. In 1637 the abbey was rebuilt to one of the Castles of Herzog Georg von Braunschweig und Lüneburg-Calenberg and actually has been a castle since for the Kings of Hannover and is seat of government since. It then stood singular but close to the City. 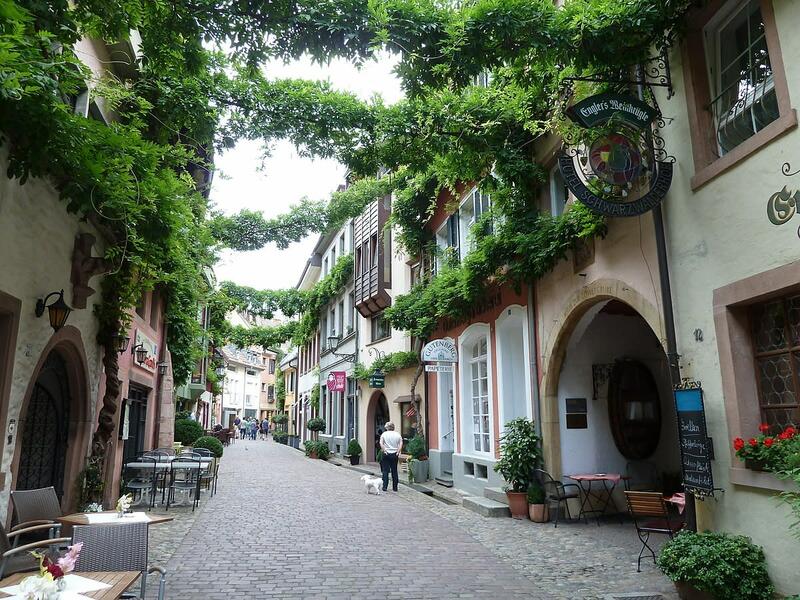 Later it was surrounded by the growing city's core named "Altstadt" and today still stands among normal houses. The castle abut to the former Abbey garden, which then became the Castle's kitchen garden and later led up to the Berggarten which still exists and is open for visitors and events. 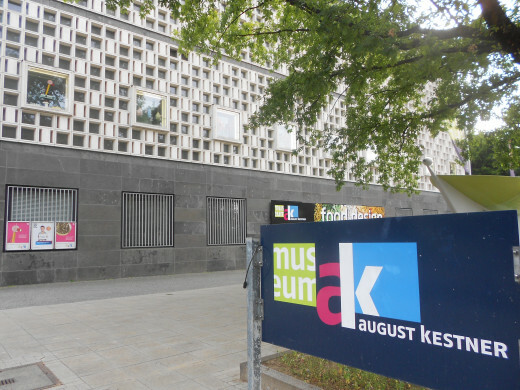 The Kestner Museum indeed is an insider's tip and worth a visit! 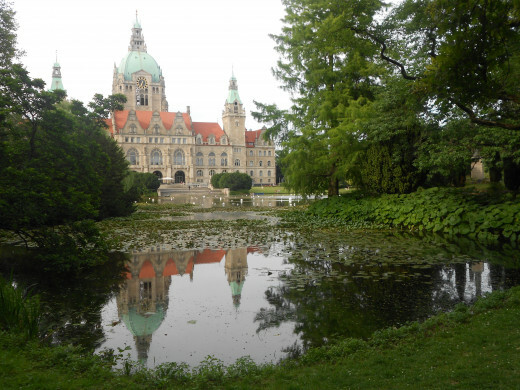 Hannover's Museums are free to visit each Friday by the way. Knowing this you can make the Friday to your Art and Culture day during your visit. Mr. Laves, the Architect, is a very famous architect and considered being as important for Hannover and the State of Niedersachsen (Lower Saxony) as Karl Schinkel is for Berlin. The Waterloo Column which you mention was designed and built by him for example. Then, this annual Jazz Festival at the Tramplatz is each year on Ascension Day and a real who's who of Jazz - really worth a visit. People dance and celebrate on this place - although it's mostly overcrowded.